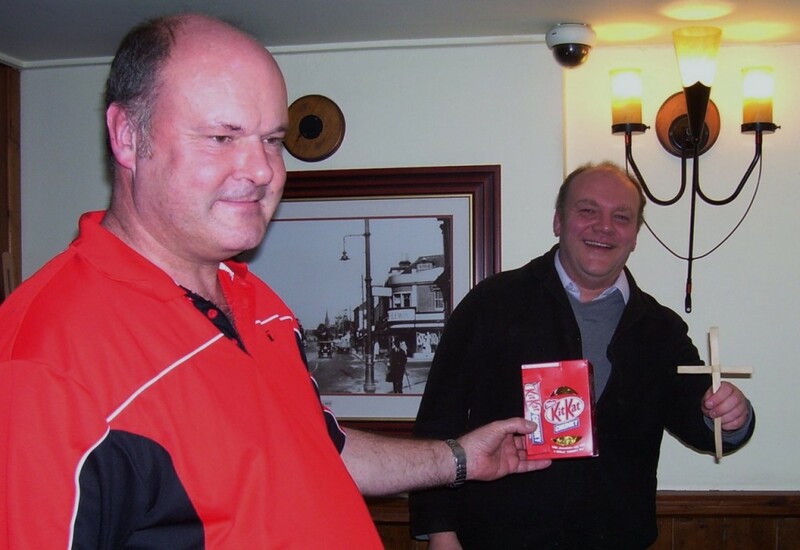 GUILT TRIP: Dave is holding a mainstream brand chocolate egg (note – not an Easter egg) others and I am holding a Palm Sunday cross, which is represents the entry of Jesus into Jerusalem and the beginning of Easter Week. Critics argue that most people don’t’ want the word ‘Easter’ dropped from the word egg. The tradition of Easter eggs goes back hundreds of years. IMPORTANT MESSAGE: David Marshall of the Meaningful Chocolate Company, whose firm supply the only Fairtrade Easter Eggs in the UK and includes the Easter message inside their packaging. Picture courtesy of the Real Easter Egg Company. A CAMPAIGN to secularise a religious festival on the grounds that it might offend other faiths appeared to be unravelling spectacularly just before start of its celebration. Easter is celebrated from today (Maundy Thursday) until the Resurrection on Easter Sunday but chocolatier Cadbury’s and supermarket giants Sainsbury’s and others decided to drop the word Easter from their supply of eggs in case it might offend people of other faiths and none at all. For millions of people across the world – even if you reading this don’t believe in it – Easter is the most important date in the Christian calendar (as much as Ramadhan and Eid is important in Islam). The tradition of exchanging Easter eggs goes back hundreds of years, representing hope and new life. For others, the egg represents the empty tomb. For the past five years or so, they have removed the word Easter from their boxes, calling them just chocolate eggs, reducing the size of the word or putting in the back of the box. Sorry to be the bearer of bad news but a You Gov poll commissioned in the run up to Easter has found that 79 per cent of respondents did not want the word ‘Easter’ removed from packaging. Let’s turn this around a little bit – if you sold sweets in the major Festival of Eid, would Cadbury’s ban all references to Islam on their packaging? Would they ban all reference to Diwali if they were selling merchandise during that festival in India? Cadbury’s seem to have caused a divide and rule strategy on religious faiths – hardly the basis of treating different faiths on an equal basis? If you are going to be PC, don’t you have to say exactly what it says on the tin? However in a cynical marketing ploy, the chocolatier in the United States decided to make many of their Easter bunnies, Easter eggs, Marshmallow eggs and mini-eggs halal-compliant despite the rather inconvenient truth that Islam doesn’t celebrate Easter. If you don’t believe me, here’s more. 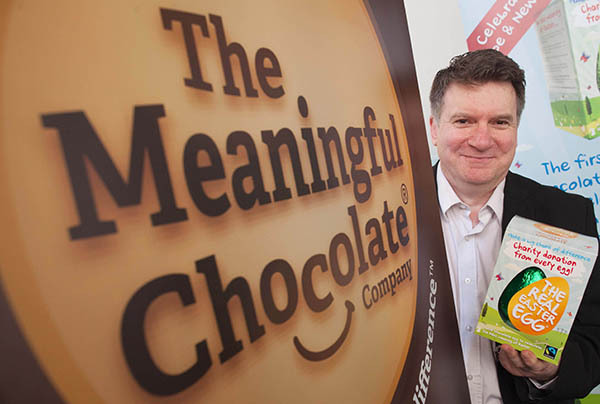 The Meaningful Chocolate Company, who commissioned the survey, is the only company that explains the Easter message within its products and they supply the UK’s only Fairtrade Easter eggs. In response to a national paper on the findings, he added: “It’s deeply disappointing and shameful that some of the biggest companies in the country are censoring the centuries’ old tradition. Cadbury’s had told the same newspaper: “We do not have a policy to drop Easter from our eggs.” Well your actions suggest otherwise. For them, Sainsbury’s, Green & Black and others, the following figures are absolutely devastating. Up to 85 per cent of people across the South of England had no problem with the word ‘Easter’ on their eggs and with the younger generation, it was surprisingly even more emphatic – 87 per cent for students and 80 per cent for families with children across the country. If you are a retailer who has a guilt trip about Judeo-Christian values, reflect on what is being said to you and just accept this argument has been comprehensively debunked. Trust me, you won’t get brownie points from other faiths for taking offence on their behalf. You don’t get respect for showing weakness – you will have civility shown to your face but contempt behind your back. THE Real Easter Eggs can be found in Extra Stores (Tesco, Waitrose, Co-Operative and Morrison’s in Bournemouth, Poole and Yeovil.